Ericsson is a Swedish multinational networking and telecommunications company headquartered in Stockholm. It is one of the leading Networking and Telecommunication Company in the world. 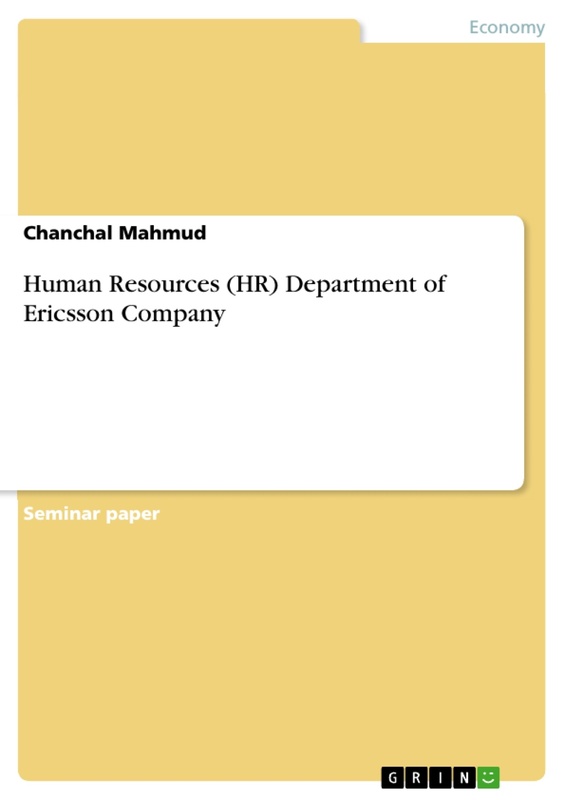 I complete this term paper on HR Department of Ericsson Company. It starts its journey in Bangladesh in 1997. We all know that Human Resource (HR) Department is the key department of any organization. By HR Department we mean that the department or support systems is responsible for personnel sourcing and hiring, applicant tracking, and skills development and tracking, benefits administration and compliance with associated government regulations. As a multinational company Ericsson need to focus more on HR Department. 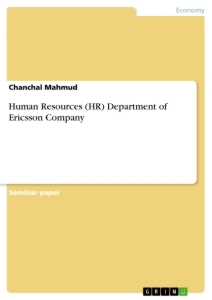 In this term paper I study about HR department function and implication of Ericsson Company. 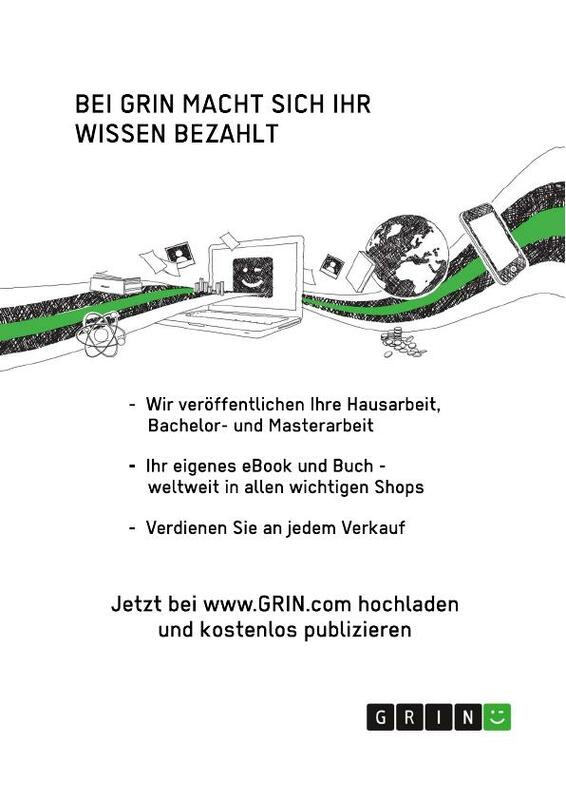 This company follows the traditional method for new recruitment. Their promotion strategy is quite different from others company. The compensation strategy is quite innovative of Ericsson Company. But I found some poor system also to their compensation strategy that should need to overcome and I also give some recommendation to overcome this problems. Job safety is another crucial issue that could not ensure this company. Recently thy lay off around 500 employee among 50 were Bangladeshi. Human resource management (HRM) is the process of employing people, training them, compensating them, developing policies relating to them, and developing strategies to retain them. In other word HRM is the term used to describe formal systems devised for the management of people within an organization. To fulfill Bachelor of Business Administration (BBA) under the Department of International Business at University of Dhaka, my course instructor gives me the opportunity to make a term paper on Human Resource Management. I am choose Human Resource (HR) Department of Ericsson (Details will be discuss on Company Profile part) Company as subject of my term paper. As we know that Ericsson is one of the renounce multinational companies of the world, so the HR department plays an important role for the company. For any organization whether it big or small Human Resource (HR) is key department of an Origination. The prosperity or success of any company depends on efficient HR department. In my term paper I discuss about overall Human Resource management of Ericsson Company. It includes recruitment and training, performance appraisal and its methods, maintaining work atmosphere, the procedure of managing disputes and developing public relation. I also discuss about the strategic role of HR Department of Ericsson. The main purpose of this study knows about details of HR Department of multinational company such as Ericsson. - To know about the HR department of multinational company such as Ericsson. The process used to collect information and data for the purpose of making business decisions is basically known as methodology. To complete my term I collect secondary data both present and historical data. They are qualitative in generic. By means historical data refer that is digital information outlining activity, conditions and trends in a company's past. I collect these types of data from company (Ericsson) website and various journals like Harvard Business Review, Fortune magazine, The Economist etc. The present data also collect from similar kind sources. I also gather quantitative data from different sources. All these data relate to the HR department of Ericsson Company. Then I analysis this data at body part of this term paper. Evaluation method is adopted to elicit whether the parameters of collected information is consistent with the parameters of available Information HR department. . Comparative method is used to compare the reliability of HR Strategies, rules and regulations with international companies and also the Legal considerations regarding this sector, to have a comparative and international analysis. Like Management, Accounting, Finance, Marketing and other obligatory department comparatively Human Resources Management (HRM) have less information available in different sources .It is the main limitation of this study. When I collect information about HR Department Ericsson I have not too many options. I only used Ericsson website to collect information about HR Department. Moreover the information I had collected from other sources may not Hundred percent authentic. We know that most of the organizations are not disclosing their internal Strategy regarding HR department. . For this reason, I have not been able to show accurate decision and information about my chosen company (Ericsson).Thus the limitation has been created. As we know that Human Resource Management (HRM) is not traditional subject like Management, Accounting, Marketing and Finance or other traditional subject; before 1990s it (HRM) was quiet unknown or little known subject. HRM became popular after 1980s .So, too many research and publication not found on HRM. In a rapid competitive business environment, the procedures of outlining the role, function and process of Human Resource Management (HRM) within a dynamic and uncertain environment are ongoing for many decades. In the early 1980s numerous books and articles were published by American Business Schools professors to support the widely recognition of HRM concept, and the environmental volatility in today’s contemporary business that specifically identify conflict and heterogeneity (Söderlund and Bredin, 2005). Due to its diverse origins and many influences, HRM covers essential aspects of central concern in organizations such as individual, practice, educational theory, social and organisational psychology, sociology, industrial relations, and organizational theory (Söderlund and Bredin, 2005). In this term paper I study about HR Department of Ericsson Company. I focused on overall HR department function of this company. I search many times in the internet but I could not found specific research on HR Department of Ericsson Company. I also explore some magazine but there were nothing significant about this issue. So I try to discuss about overall them of HR department. To date there is no widely acceptable definition for HRM and what it entirely involves in our daily business world (Brewster and Larsen, 2000). Fewer satisfactory definitions have been propounded by different writer such as (Söderlund and Bredin, 2005), whom perceived HRM as 1) an ‘executive personnel responsibility’, that mainly concern with management activities; 2) classified HRM as management philosophy that concerns with people treatment and, finally 3) discerned HRM as interaction management between the firm and its people. In conclusion of literature review we can say thsat the dynamic and uncertainty in HR contemporary organizations are tremendously moving towards a radical dimension (Analoui, 2007). Recent debate by many researchers have laid more emphasis about matching and incorporating the HR-department with other strategic functioning departments within organization (Söderlund and Bredin, (2005); Analoui, (2007); Price, (2007). The department or support systems is responsible for personnel sourcing and hiring, applicant tracking, and skills development and tracking, benefits administration and compliance with associated government regulations. A human resources department is a critical component of employee well-being in any business, no matter how small. HR responsibilities include payroll, benefits, hiring, firing, and keeping up to date with state and federal tax laws. Any mix-up concerning these issues can cause major legal problems for your business, as well as major employee dissatisfaction. But small businesses often don't have the staff or the budget to properly handle the nitty-gritty details of HR. Because of this, more and more small businesses are beginning to outsource their HR needs. An efficiently run human resources department can provide your organization with structure and the ability to meet business needs through managing your company's most valuable resources - its employees. There are several HR disciplines, or areas, but HR practitioners in each discipline may perform more than one of the more than six essential functions. In small businesses without a dedicated HR department, it's possible to achieve the same level of efficiency and workforce management through outsourcing HR functions or joining a professional employer organization. This is the major and first task of HR Department. The success of recruiters and employment specialists generally is calculated by the number of positions they fill up and the time it takes to fill up those positions. Recruiters (HR experts) who work in-house — as opposed to companies that provide recruiting and staffing services play a key role in developing the employer's workforce. They advertise job postings, source candidates, screen applicants, conduct preliminary interviews and coordinate hiring efforts with managers responsible for making the final selection of candidates. Workplace safety is a key factor. Under the Occupational Safety and Health Act of 1970, employers have a commitment to provide a safe working environment for employees. One of the main functions of HR is to support workplace safety training and maintain federally mandated logs for workplace injury and fatality reporting. In addition, HR safety and risk experts often work intimately with HR benefits specialists to manage the company's workers compensation issues. In a unionized work environment, the employee and labor relations functions of HR may be combined and handled by one specialist or be entirely separate functions managed by two HR experts with specific expertise in each area. Employee relations are the HR discipline concerned with strengthening the employer-employee relationship through measuring job satisfaction, employee engagement and resolving workplace conflict. Labor relations functions may include developing management response to union organizing campaigns, negotiating collective bargaining agreements and rendering interpretations of labor union contract issues. Ericsson is a Swedish multinational networking and telecommunications company headquartered in Stockholm. It is one of the leading Networking and Telecommunication Company in the world. This company offers services, software and infrastructure in information and communications technology for telecommunications operators, traditional telecommunications and Internet Protocol (IP) networking equipment, mobile and fixed broadband, operations and business support services, cable television, IPTV, video systems, and an extensive services operation.  Ericsson had 35% market share in the 2G/3G/4G mobile network infrastructure markets in 2012. The company was founded in 1876 by Lars Magnus Ericsson. Lars Magnus Ericsson began his association with telephones in his youth as an instrument manufacturer. He worked for a firm that made telegraph equipment for the Swedish government agency Telegrafverket. In 1876, at the age of 30, he started a telegraph repair shop with assist from his friend Carl Johan Andersson in central Stockholm and repaired foreign-made telephones. In 1878 Ericsson began making and selling his own telephone equipment. His telephones were not technically innovative. In 1878 he made an agreement to supply telephones and switchboards to Sweden's first telecommunications operating company, Stockholms Allmänna Telefonaktiebolag. Thus he started his journey to success. As production grew in the late 1890s, and the Swedish market seemed to be reaching saturation, Ericsson expanded into foreign markets through a number of agents. The UK (Ericsson Telephones Ltd.) and Russia were early markets, where factories were later established improve the chances of gaining local contracts and to augment the output of the Swedish factory. In the UK, the National Telephone Company was a major customer; by 1897 sold 28% of its output in the UK. The Nordic countries were also Ericsson customers; they were encouraged by the growth of telephone services in Sweden. Now this company operate more than 180 country around the world and around 1,00,000 employees work in this company. Ericsson holds over 42,000 granted patents as of December 2016, including many in wireless communications. On 20 June 2017, Bloomberg disclosed that Ericsson hired Morgan Stanley to explore the sale of its media businesses. In the year 2017, the operating revenue of this company was 38.1 billion US ($) dollars and net income was 35.1 1 billion US ($) dollars. Ericsson s business includes technology research, development, network and software development, and running and evolving operations and software it offers end-to-end services for all major mobile communication standards. Ericsson started its journey in Bangladesh at 1997. Around 1000* employees works Ericsson company in Bangladesh. Recently they are laid off 50 employees. In Bangladesh, most of the Mobile communication equipments are supplied by Ericsson Company 2G, 3G and 4G since 1997. The HR department of Ericsson Company is comparatively efficient with other multinational Companies in the world. - The key levers must be in internally integrated with each other and externally integrated with business strategy. Human Resource Management involves acquiring, developing and utilizing people in business. It is the process of acquiring, training, developing, motivating and appraising employees to the activities required for achieving the goals and objectives of the organization in such a way that employees are satisfied and efficient. Now I will discuss functional task for HR Department according to Ericsson Company. Human Resource Planning: starts with job analysis and forecasting the demand and supply of people. Job analysis is the procedure for collecting and recording information about jobs. Forecasting of internal supply, external supply, current available employees, future plans, economic environment, etc. are considered in demand and supply analysis. HR experts of Ericsson assume how many people need near future and that direction come from the top level managers. For example in early 1900s when it expand to UK, USA, Chain and South Africa; it require more than 10,000 employees, erstwhile CEO send a requirement to HR managers, then the HR managers took steps to employ. Recruitment: Recruitment can be defined as searching for and obtaining a pool of potential candidates with the desired knowledge, skills and experience to allow an organization to select the most appropriate people to fill job vacancies against defined position descriptions and specifications. In other word terms is refer to the process of attracting and choosing candidates for employment. Full-cycle recruiting is a term used by human resources specialists who manage the recruitment process from start to finish. Full-cycle recruiting begins with sourcing candidates, which means looking for prospective applicants whose qualifications might be suitable for the job openings you have. Sourcing has evolved in the past several years with the proliferation of job and career sites. Ericsson follows this process. Selection: Once a pool of candidates has been identified through the recruitment process the most appropriate candidate, or candidates are identified through a selection process including but not limited to interviewing, reference checking and testing. The purpose of the selection process is to ensure that the best person or people are appointed to the role or roles using effective, fair and equitable assessment activities. The next steps in the recruitment and selection process are tracking applicants and applications and reviewing resumes. Applicant tracking systems (ATS) are becoming extremely helpful to employers, and this technology aids in the management of job vacancies and applications for every open position. Employment specialists use ATSs to review applications and resumes. You or your employment specialist or assistant can then decide which applicants to interview. An ATS can be developed for organizations of any size, including small businesses. With some ATSs, applicants can track their application status, too. Conducting a preliminary phone interview is essential for obtaining information about the applicant's background, work history and experience. The objective of this phone call is to determine whether or not the applicant has the requisite skills and qualifications for the job vacancy. Initial discussions will reveal those applicants who obviously do not meet the minimum requirements for the job. After the phone interview, you'll be able to narrow the field of applicants to send for consideration by the hiring manager. Or, if you will be doing the hiring, you may ask your assistant to arrange in-person interviews with the applicants you have selected.